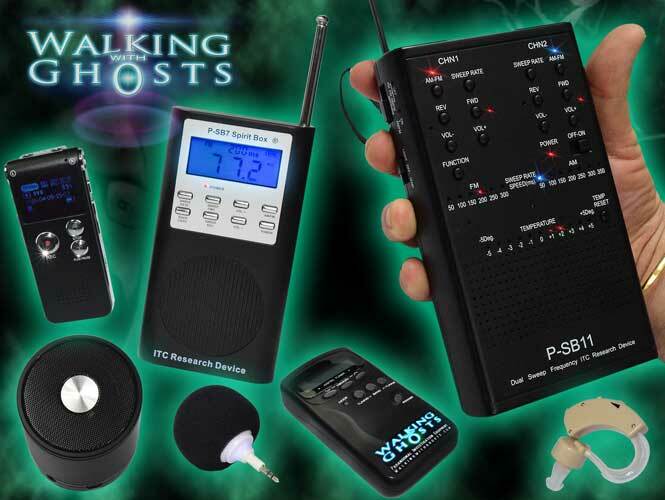 A palm sized audio amplification solution for PSB7 style spirit/ghost boxes, EVP recorders & smart phones. 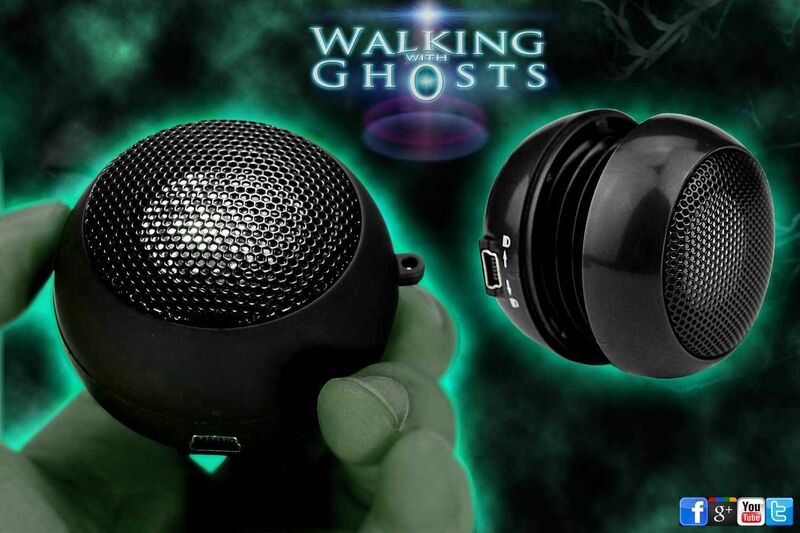 This little speaker is just the right size to hold in the palm of your hand and is light in weight and very simple to use. It comes with a built-in rechargeable battery & integrated 3.5 mm headphone plug hard wired so you cant loose it in the dark. It provides an impressive full clear sound boost for such a small device and unlike many others, enhances the mid and top ranges of sound rather than the base which can simply exaggerate the noise levels in EVPs. Simply plug into a USB outlet to charge,it also has a bright greeg LED illuminated power indicator. 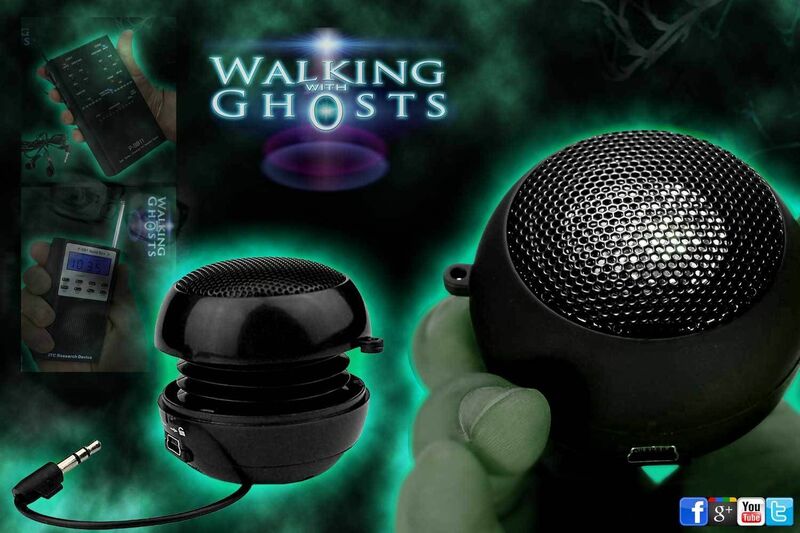 This mini Speaker pod is also a great travel speaker for your iPod, iPhone, music player, gaming console, and laptop. Small enough to slip into your pocket, it provides an impressive clear output for such a tiny device due to it's pop up expansion capability. 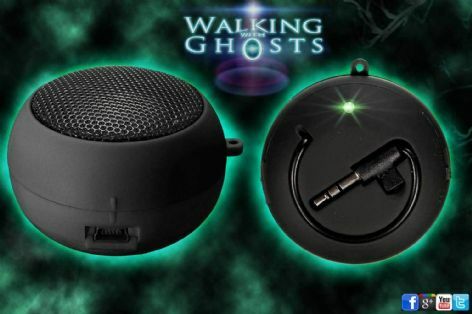 The mini capsule opens out to create an extended resonance chamber that works to boost the sound range beyond what you might expect from such a tiny speaker. Power On/Off switch, internal rechargeable battery, LED power indicator, includes Mini USB cable for charging the device, Size 5-cm x 5-cm. Please note the sound is impressive for the size of the speaker, but at only 5-cm x 5-cm it is not designed disco dancing, it is however a nice clear boost to your small devices capabilities and a very useful travel companion. 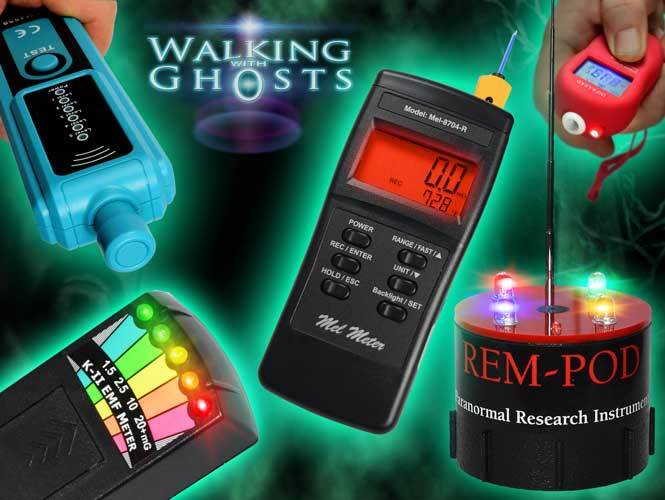 In practice We find that spirit boxes can become very irritating and noisy at times. We have found that a good way to control & reduce this is to cover the speaker grille with the palm of your hand while asking the question (reducing the volume) then removing the hand allowing the volume to increase when listening for a possible answer. We selected this particular speaker as it is small enough to fit into the palm of the average hand allowing the user to to control the output with the other hand. A little practice with this technique will bring a much better sense of control to your spirit box sessions. This device also has a fully controllable volume dial to set just the right level for you're working environment.